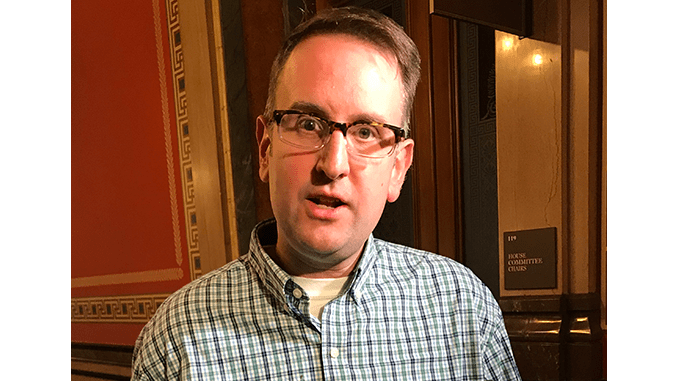 Des Moines, Iowa (Radio Iowa) – Democrats who’ll be serving in the Iowa House next year met Saturday and elected State Representative Todd Prichard of Charles City as their new leader. Prichard was re-elected to a fourth term in the Iowa House this month. He’s replacing Mark Smith of Marshalltown as House Minority Leader. Smith did not seek reelection AS A LEADER after Democrats picked up suburban seats in the Des Moines area that were held by Republicans, but failed to win enough races to regain majority control of the Iowa House. Republicans have held a majority of seats in the Iowa House since 2011. Prichard rejects the idea he’s been elected to help Democrats rebuild the party in rural Iowa. Prichard put 40-thousand miles on his car traveling the state before abandoning his campaign for governor in the fall of 2017 and seeking reelection to the House instead. Prichard says he’ll ask his fellow House Democrats to travel the state, too. Prichard, who is an attorney, is also a lieutenant colonel in the Army Reserves, with tours of duty in Kuwait, Iraq and Egypt. Prichard is among four men and two woman who were elected to leadership roles for Democrats in the Iowa House next year.